This project consists of the total reconstruction of the existing parallel 10,500’ long Taxiway “N”, connectors, Taxiway “A” and Taxiway “P” on the north side of Runway 7L-25R and Taxiway “P” on the south side. All pavement is designed with reconfigured edge of pavement geometry, new paved shoulders, re-design of a new storm water drainage system, and the installation of new taxiway edge lights. ICE is serving as a subconsultant to AVCON and is preparing construction phasing schedule, quantities, engineer’s estimates, phasing documents and plans, OE/AAA permit and preparation of bid packages. This is due to phased FAA funding, funding priorities, and differing eligibility requirements. 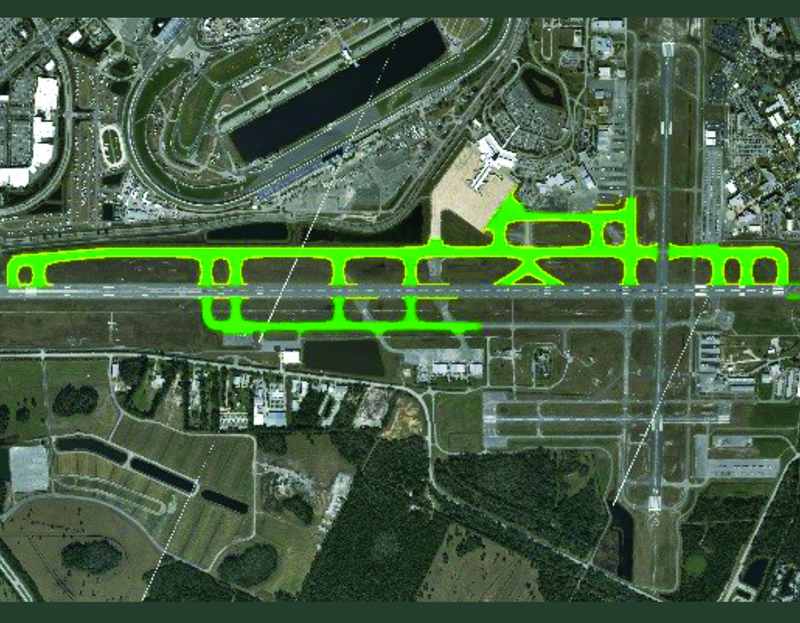 The project work generally includes removing failed areas of taxiway pavement and areas of pavement that no longer comply with the new airport design guidance in AC 150/5300-13A, removing the existing incandescent taxiway edge lights, widening and reconfiguring the taxiway/taxiway intersections to comply with Advisory Circular 13A geometry, rehabilitating the existing asphaltic concrete pavement, installing a new underdrain system at the edge of the taxiway and the paved shoulders, removing and replacing all airfield drainage pipe and catch basins, widening the paved shoulders from 25’ to 30’ in width, and installing new electrical conduit, wire with new LED taxiway edge lights. This project consists of the total reconstruction of the existing parallel 10,500’ long Taxiway “N”, connectors, Taxiway “A” and Taxiway “P” on the north side of Runway 7L-25R and Taxiway “P” on the south side. All pavement is designed with reconfigured edge of pavement geometry, new paved shoulders, re-design of a new storm water drainage system, and the installation of new taxiway edge lights.